Issued: 2 am 25 Apr 2019 (local time). 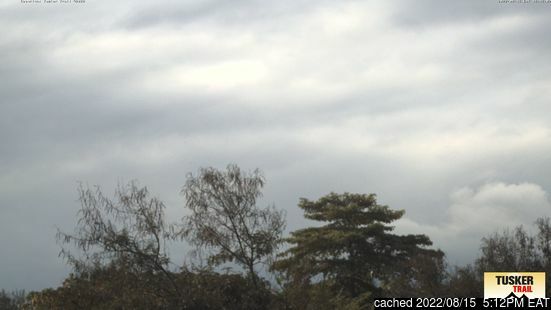 The snow forecast for Mount Kilimanjaro is: A heavy fall of snow, heaviest during Fri morning. Temperatures will be below freezing (max -5°C on Thu morning, min -6°C on Thu morning). Wind will be generally light. Mount Kilimanjaro Weather (Next 3 days): The snow forecast for Mount Kilimanjaro is: A heavy fall of snow, heaviest during Fri morning. Temperatures will be below freezing (max -5°C on Thu morning, min -6°C on Thu morning). Wind will be generally light. Mount Kilimanjaro Weather (Days 4-6): A heavy fall of snow, heaviest during Sun night. Temperatures will be below freezing (max -5°C on Sun morning, min -6°C on Sun night). Wind will be generally light. A heavy fall of snow, heaviest during Sun night. Temperatures will be below freezing (max -5°C on Sun morning, min -6°C on Sun night). Wind will be generally light. A heavy fall of snow, heaviest during Fri morning. Temperatures will be below freezing (max -5°C on Thu morning, min -6°C on Thu morning). Wind will be generally light. The above table gives the weather forecast for Mount Kilimanjaro at the specific elevation of 5895 m. Our sophisticated weather models allow us to provide snow forecasts for the top, middle and bottom ski stations of Mount Kilimanjaro. To access the weather forecasts for the other elevations, use the tab navigation above the table. For a wider view of the weather, check out the Weather Map of Tanzania (United Rep. of Tanzania). Arusha Hostel Lodge and Adventures arranged my hike to Kilimanjaro and it was an incredible experience. The team of porters and guides that Justin (the owner) arranged were amazing. So warm, friendly and welcoming and always concerned with my health and how I was doing along the way. Every morning they would sing to me to cheer me on for the days hike. No other company on the mountain did that. On the worst days this helped me push through. After I made it to Uhuru peak they baked me a cake in the middle of one of our camp sites with nothing but a few ingredients and a small flame. I have no idea how they did it but it was the sweetest gesture and no other company did that. I could not have been more safe with this group of champion porters, guides and the cook. One of the greatest experiences of my life. I paid a fraction of the cost of what I would have paid for other companies and got so much more than I could have ever imagined. If you are looking for a company to climb Kili, look no further. AHLA is the only option. 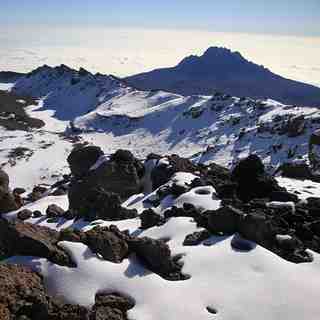 The Mount Kilimanjaro skiing weather widget below is available to embed on external websites free of charge. It provides a daily summary of our Mount Kilimanjaro snow forecast and current weather conditions. Simply go to the feed configuration page and follow the 3 simple steps to grab the custom html code snippet and paste it into your own site. You can choose the snow forecast elevation (summit, mid-mountain or bottom lift) and metric/imperial units for the snow forecast feed to suit your own website…. Click here to get the code.